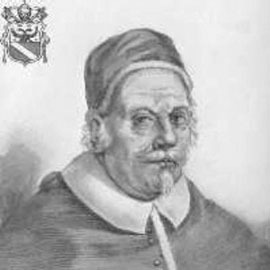 Alexander VIII, given name Pietro Ottoboni, Roman Catholic Pope from 1689 to 1691, was born in 1610 of a noble Venetian family, was created cardinal, and named bishop of Brescia in 1654. The ambassador of Louis XIV succeeded in procuring his election on the 6th of October 1689 as successor to Pope Innocent XI; nevertheless, after months of negotiation Alexander finally condemned the declaration made in 1682 by French clergy concerning the liberties of the Gallican church (severely limiting papal authority in that country). Charities on a large scale and unbounded nepotism exhausted the papal treasury. He bought the books and manuscripts of Queen Christian of Sweden for the Vatican library. Alexander condemned in 1690 the doctrines of so-called philosophic sin, taught in the Jesuit schools. He died on the 1st of February 1691.